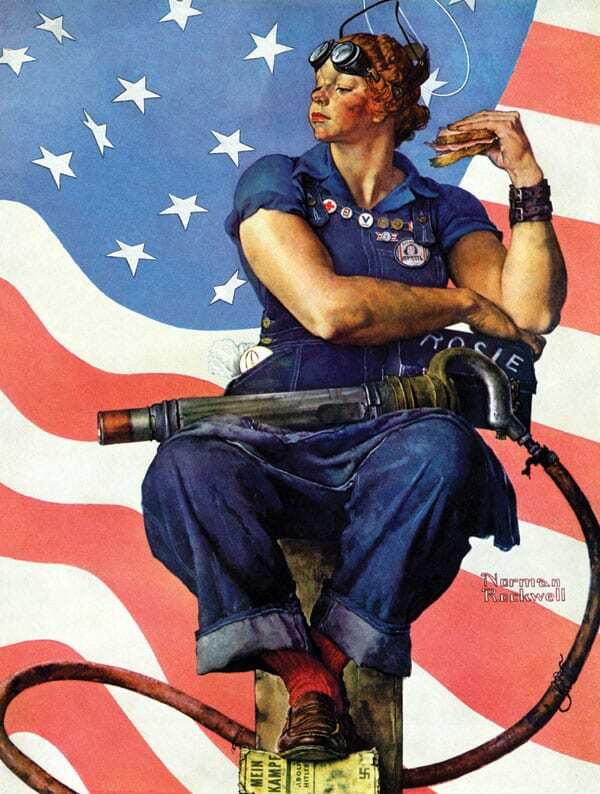 One of the most positive things to come out of the second world war was Rosie the Riveter. 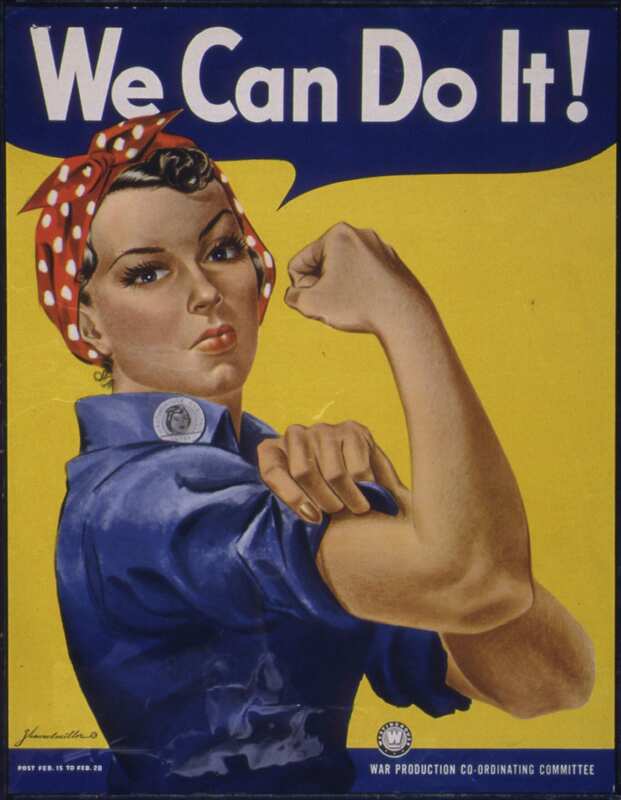 Initially appearing on morale posters encouraging women who had entered wartime service, Rosie was a symbol of the effort to stop the Axis Powers, and later became a feminist icon. Rosie’s “We Can Do It” attitude has inspired many millions of people around the world. So when news broke that the real-life Rosie passed away last Saturday at age 96, her countless admirers expressed their appreciation. Naomi Parker Fraley was born in Tulsa, Oklahoma in 1921, the third of eight kids. After the attack on Pearl Harbor, a 20-year-old Fraley and her 18-year-old sister Ada went to work at the Naval Air Station in Alameda, California, just outside San Francisco. 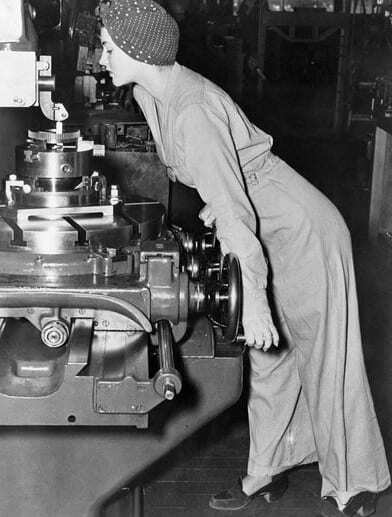 Fraley worked in the machine shop as a lathe operator, where her duties included drilling, repairing airplane wings, and yes, riveting. Despite having one of the most famous faces of the 20th century, Fraley wasn’t even identified until 2016. For one thing, the original Rosie poster wasn’t meant for publication–it was commissioned by the Westinghouse Electric Company, and only briefly displayed in their plants in 1943. It wasn’t until the early 1980’s that the poster was rediscovered and repurposed as a feminist image. Further complicating matters, other women have a legitimate claim to the name “Rosie the Riveter.” Songwriters Redd Evans and John Jacob Loeb wrote a hit song called “Rosie the Riveter,” based on a different wartime riveter named Rosalind P. Walter. In 1943, Norman Rockwell painted a cover for the Saturday Evening Post depicting another female riveter, who was modeled by Vermonter Mary Doyle Keefe. 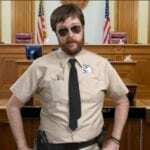 And when Fraley passed away on January 20th, 2018, people around the world showed their gratitude. Fraley’s passing occurred on a Saturday, the same day millions of women marched for gender equality. And Rosie the Riveter was part of the demonstration. So while we’re all mourning the passing of an amazing person and straight-up badass, we can take comfort in the fact that her contribution will be remembered for generations to come.